“Farming is a necessity,” Kirk Lewis, Science teacher at Ivanna Eudora Kean High School and Future Farmers of America Advisor said Saturday. Teaching kids about the role of farming isn’t just a job for these teachers at Ivanna Eudora Kean high school, it’s a plan for the future. Teaching Virgin Islanders of the opportunity in agriculture was a vital part of the 34thAgriculture Food Fair on St. Thomas Saturday. 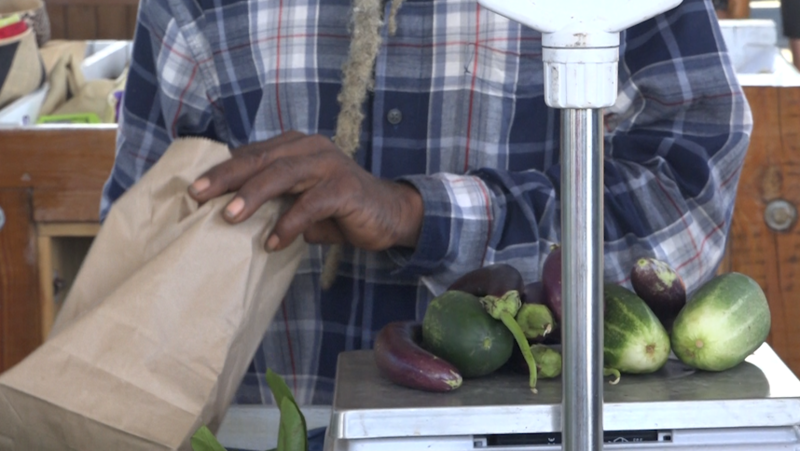 Vendors and farmers from across the islands took part in highlighting their crops and businesses on a beautiful weekend in the VI. “We are seeing people selling, buying. We are seeing people socializing we are seeing people fellowshipping. Basically, it is a community affair,” Manley James the Virgin Islands Director of Agriculture said. James said he is happy to see the event back again after last year storms. But adds that it highlights just how challenging those storms were for the farming community. “Agriculture is a culture within the Virgin Islands that’s what it should be and the Hurricanes Irma and Maria devastated the economy. Two category five hurricanes, agriculture was devastated,” he said. “We have a lot of work to do when it comes to agriculture you know, we are too far behind we are still spinning wheels,” Elridge Thomas, President of ‘We Grow Food Inc’ said. Thomas said the Virgin Islands isn’t putting the money into agriculture for the industry to meet its full potential. He said all of this land is available for use, but it hasn’t been utilized it and he said he is set to change that. A group of dedicated farmers and leaders ready to plant the seed and watch agriculture grow.